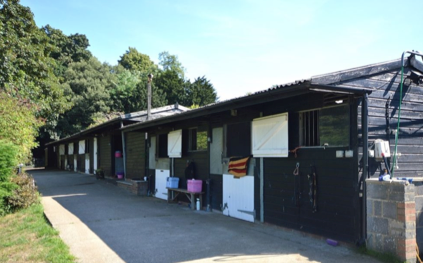 This week is National Race course week and if you don’t feel like racing over to your nearest course how about these two houses for sale with equine facilities. 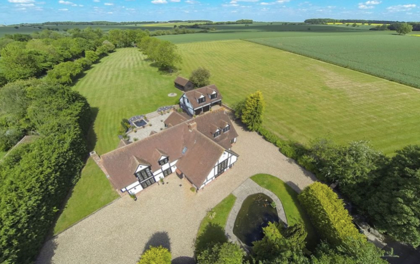 If you are looking at buying a family home with the potential of running an equine business, this property just outside of Saffron Walden could be perfect. Set in 4.6 acres, this immaculately presented family home with nearly 4000 square feet of accommodation already has planning permission for stabling and paddock, with its own entrance. In addition there is also a superb studio annexe, giving lots of options for someone wanting to run their own business. Guide Price £1,475,000. For more information or to arrange a viewing, please follow this link or call our team on 01279 757500. This next property is set in a beautifully presented and spacious converted stable house and is already to go with its 6 acres of outstanding equestrian facilities, including a stable block with 6 stables, tack room, wash-down area, enclosed covered hay barn and covered viewing pavilion looking over the all-weather flood-lit ménage. Guide Price: £1,375,000.